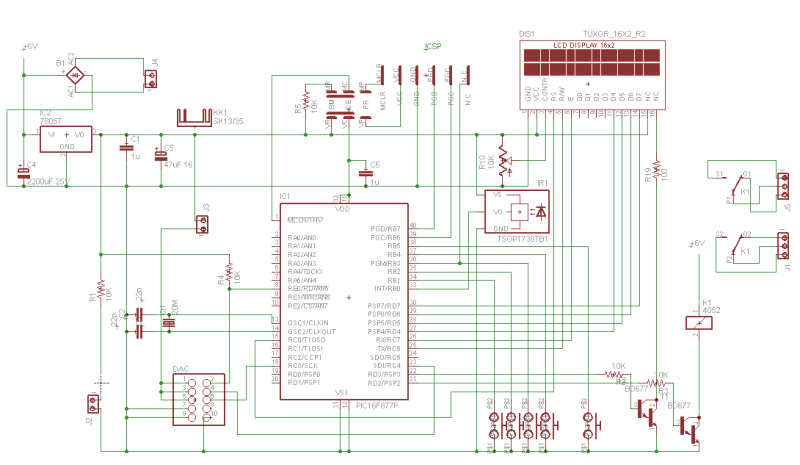 After the great results achieved by the projects USB DAC2a and USB DAC 2b created in collaboration with Quanghao for the realization of the modules and the my friends Angelo and Sandro for the listening sessions to optimize the components and chose the best solutions, we had the idea of creating a new project based on the ES9018 chip. 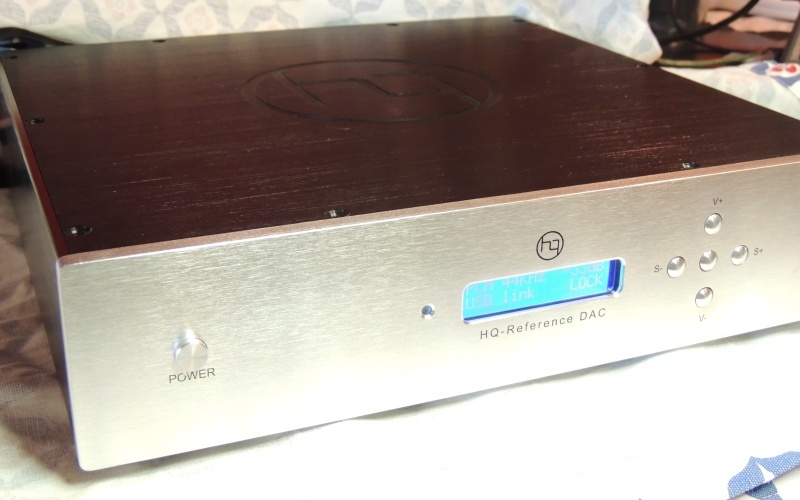 The Amanero can play also 32bit 384KHz and DSD files (SACD format). 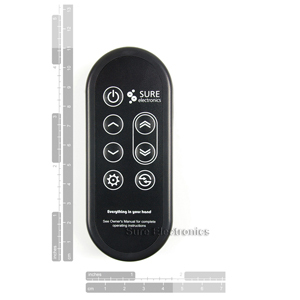 It is necessary set the Amonero module with the last firmware 1.58. 1) Download the update_tools and Unzip in a folder, for example on Desktop. 3) When you replug the erased device, Windows can ask about a driver. 4) Be sure to be connected to internet. 5) Run ConfigOEM109.exe and press download firmware. 6) When done close ConfigOEM109.exe and Unplug the USB Cable. 7) Replug the USB cable and if it's all ok the audio driver needs to detect the device. The default configuration of the ES9018 allow a single spdif input on DATA1 input pin. 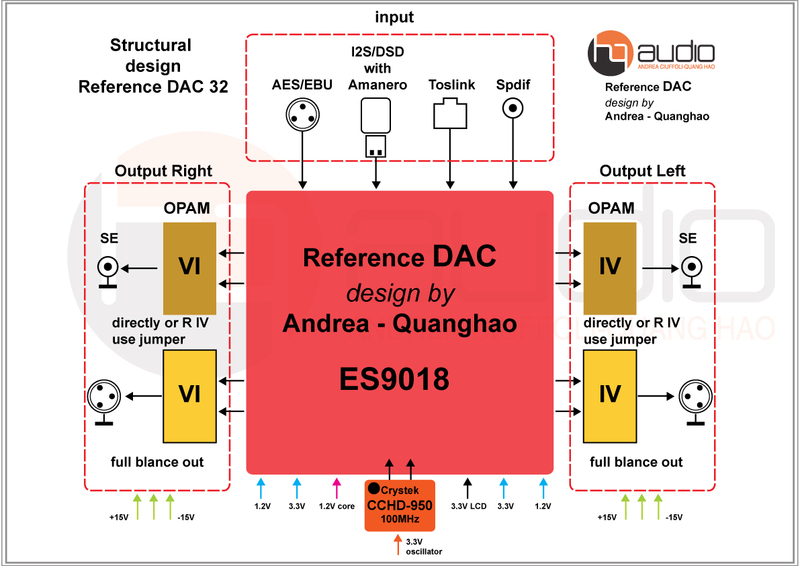 The ES9018 have 8 channel DAC that can be configure in parallel to get a stereo output and to increase the performances. 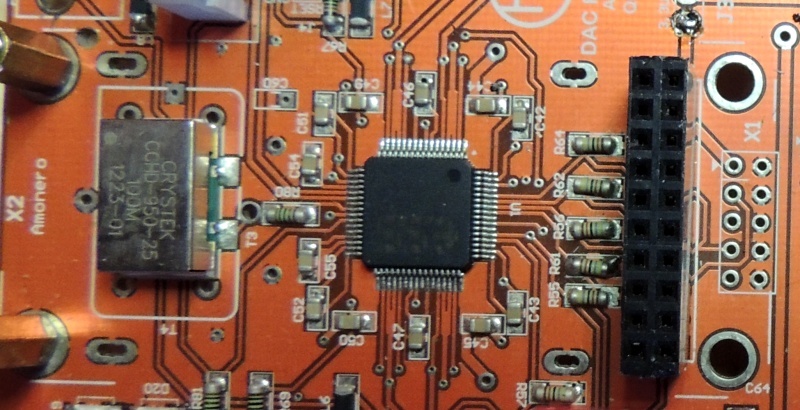 The ES9018 DAC in theory can work with a voltage output or current output. 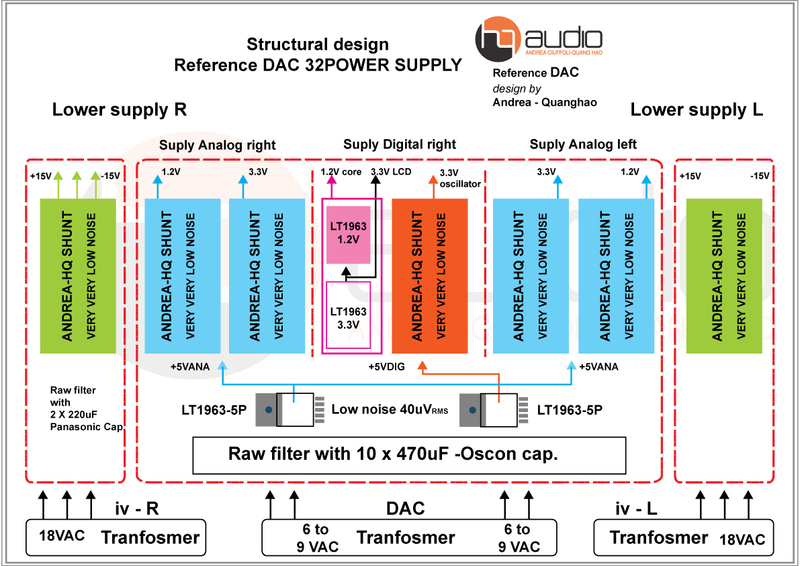 Any DAC output have an internal 780ohm resistor to allow the parallel when it is used in voltage output mode. In stereo mode the internal resistor will be 780 / 4 = 195 ohm. Using the current mode should be necessary to use an external current to voltage stage (I/V). 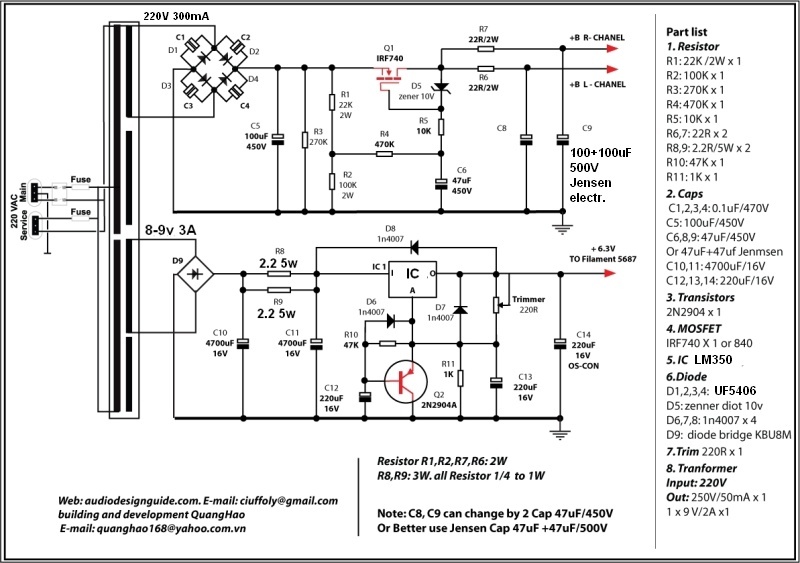 A good passive I/V can be created with a simple low value resistor. On any ES9018 output for the first test has been used a passive I/V created with a set of 2 x 39ohm 1% resistor in parallel to have 10ohm, using this value the final DAC output will be 1.6Vrms with op-amp and 1.4Vrms with vacuum tube stage. For the best performances use a single MK132 Caddock 10 - 18 ohm. It is possible to use the voltage output and after some listening tests with my friends I consider this configuration as the best. In this case the output stage can be a transformer. 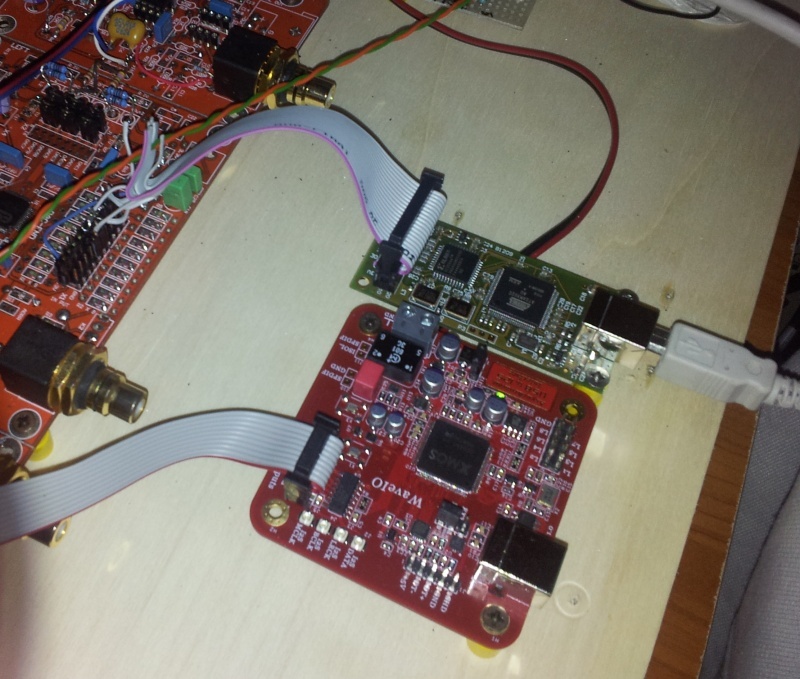 The last firmware allow to get an un-balanced signal output but you get only 1Vrms at 0dB. Here the photos of the very compact DAC section, top performances oscillator, shield and Amanero USB module. The my C source has been compiled with HI-TECH PICC-Lite™ Compiler V9.82 for PIC10/12/16 MCUs. The output voltage after the passive I/V is very low, about 100mVrms, so it is necessary an output stage with a good voltage gain. Someone use a transformer to create a passive amplifier but in this case the frequency response is very compromised by the parasitic capacity of the transformer. This output stage is used in Mark Levinson no. 380 and it is published on OPA627 datasheet like a High Speed Instrumentation Amplifier. 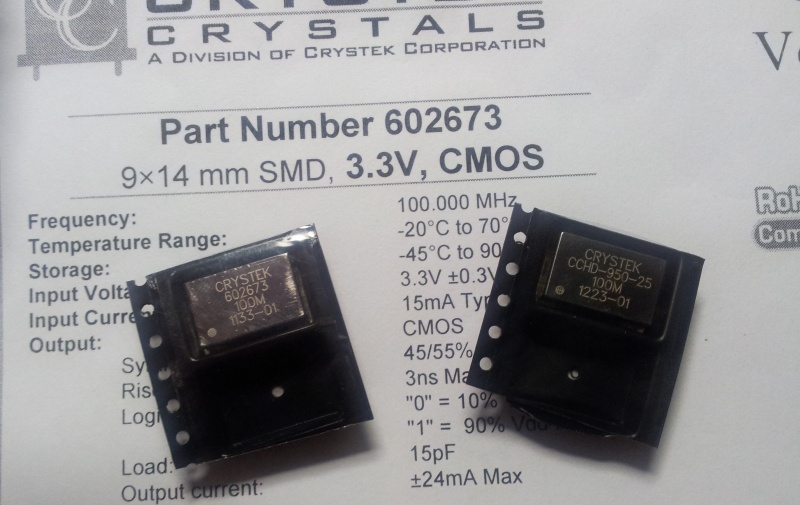 In the first stage the 100 ohm resistances can be connected to ground or not like the OP627 datasheet schematic and with this modification this stage sound much better. I suggest OP627 on first stage and OPA2134 on second stage to get the best sound. The Raleigh Audio Line Stage clone is a Differential parafeed line stage push-pull with a pair of CCS (constant current source) to isolate the power supply from the signal. 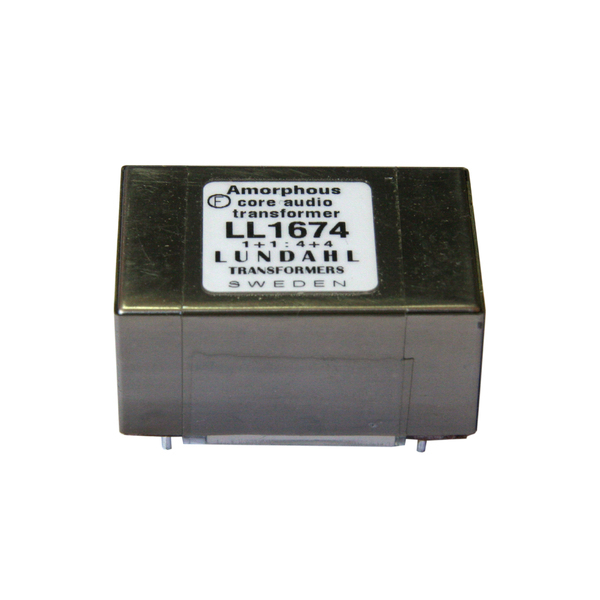 A 2.2uF parafeed capacitor isolating the output transformer from the power supply current so is possible to use little output transformers with amorphous core. I have used the LL1674 Lundahl transformer with a turn ratio 4+4 : 1+1 and a 2.2uF Z-Cap Supreme by Jantzen. 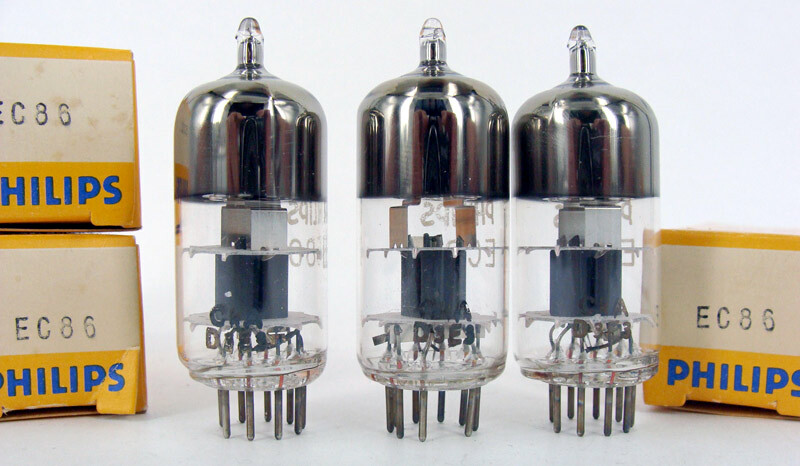 It is necessary a not common vacuum tube for this output stage because we need high voltage gain and low internal resistance. It is necessary a transformer to reduce the output impedance and to create a differential signal. The low internal resistance of the EC86 ensures a good low and high frequency response. To create this output stage I have used four K & K Audio Basic CCS modules with large heatsink. The Lundahl transformer with amorphous core ensure the highest level of transparency. Only 6 resistors are necessary for both the channels, for each I decided to use a parallel connection of two to reduce the parasitic inductance. The power supply for this output stage could be a solid state like the following or a simple passive with choke. 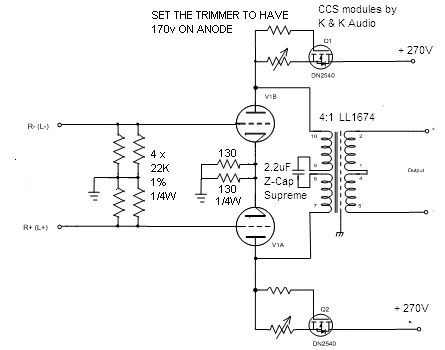 I don't suggest an I/V made with a transformer so use only 1:1 configuration with center 10K // 2.2 - 22uF Sanyo OS-CON as described in the old Glass Audio article of Stefano Perugini.